Let us introduce to you a lovely little shop, tucked away in a pocket of the Sunshine Coast not known to all. 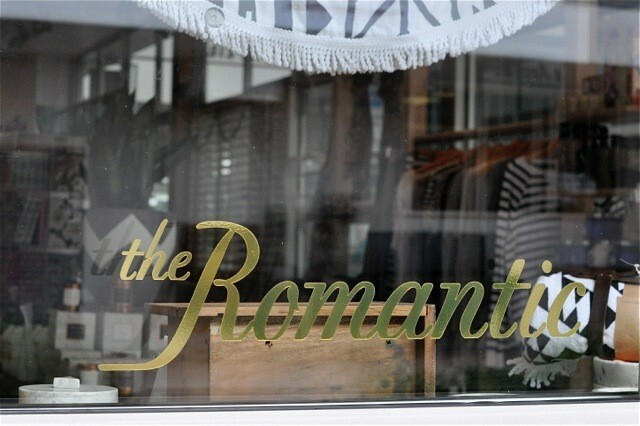 We are a sweet boutique called The Romantic - located in the heart of Peregian Beach, known as the ‘Village’. The Romantic is a destination in itself. Referred to as ‘The Chandelier of the village’ showcasing a mix of Homewares, Clothing, Accessories and specialties. 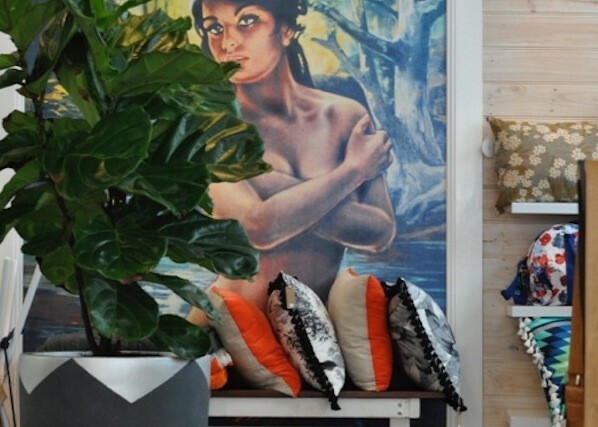 It’s a Lifestyle shop…. Offering everything you could possibly desire to make your life a little aesthetically sweeter. The store is a wonderland with its ivy covered roof, herringbone floors, and gigantic Tretchikoff lady to welcome you. Peregian is a 20 minute drive south of Noosa on the Sunshine Coast. We’ve been open nearly 5 years. / WHAT IS IT ABOUT THE LOCATION? Coast life... everything revolves around the water, whether you’re in it, living by it or just breathing it in daily – it’s a great balancer. There’s a wonderful community vibe here where everyone knows everyone without anyone knowing too much. And with only 2 sets of traffic lights for the whole Noosa area... there’s no congestion and it’s easy to get around. The world is moving too fast these days but living on the coast takes it down a notch…. Making life feel that little more relaxed. Our beaches run for miles and the coastal drive is spectacular. The open ones are never crowded so they’re perfect to clear your mind and feel free after a big day in the shop. Little Cove is iconic to Noosa National Park and for good reason…. It’s a favourite. It can only be reached by foot and it’s no wider than if 50 Roundies were placed together in a row. What’s not available is the question. Right now it’s all about nesting…. So it’s concrete pots and linen bed sheets. Finding new and exciting products for their shineyness, colour, smell, branding, construction and aesthetic is fun. But I love the rawness of natural things that man hasn’t mass produced…. Tactile elements like Leather, clay, concrete. I’m a potter and get a kick from the simple process that Mud plus water creates purposeful vessels. I appreciate any craftsmanship. Right now it’s hand knitted woollen baby clothes – there’s nothing more beautiful then a crocheted piece evident of hours poured into it. That’s love. We are a little bit in love! Thanks for sharing with us Margot!